More Rain: Chance of showers lingers through weekend for L.A. 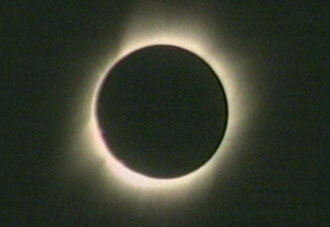 Image of March 29, 2006, eclipse, courtesy NASA TV. Links to more images, info. Weather News: Powerful storm socks Southern Calif. | Soggy spring on pace to drown Bay Area records … California weather and webcam resources are in the left menu and the previous entry. Quake Wire: Strong earthquake (M6.0) jolts Tokyo area | Scientists model ground shaking in 1906 SF earthquake | Live quake data is in the right column of this page. More resources are in our National/International page. Record cold morning set in Brevard Co., Fla.
Quake Wire: Earthquake risk rattles Allstate … Live quake data is in the right column of this page. Top 5 WXnation.com city weather and webcam pages visited on Sunday: 1. Honolulu 2. Los Angeles 3. Vancouver 4. Dallas/Fort Worth 5. New York City … and on Saturday: 1. Honolulu 2. San Francisco 3. Reno 4. Los Angeles 5. Dallas/Fort Worth … See the top 20 so far this month in the center column of our home page. New Left-Nav Menu: Finally, a small site announcement: The left navigation menu has been updated to provide a breakdown of city pages by state and then city. Hopefully you will find the new menu easier to use. Top 5 WXnation.com city weather and webcam pages visited on Friday: 1. Honolulu 2. Vancouver 3. San Francisco 4. Knoxville 5. Indianapolis … See the top 20 so far this month in the center column of our home page. Top 5 WXnation.com city weather and webcam pages visited on Thursday: 1. Oklahoma City 2. Honolulu 3. Miami 4. Dallas/Fort Worth 5. West Palm Beach … See the top 20 so far this month in the center column of our home page. Snow falls across much of Oklahoma: Up to 3 inches of snow fell at locations in central, northern and southern Oklahoma. Top 5 WXnation.com city weather and webcam pages visited on Wednesday: 1. Albuquerque 2. Indianapolis 3. Oklahoma City 4. Honolulu 5. Denver … See the top 20 so far this month in the center column of our home page. Quake Wire: Several earthquakes rattle San Francisco Bay Area | Live quake data is in the right column of this page. Other earthquake resources are in our National/ International page. Top 5 WXnation.com city weather and webcam pages visited on Tuesday: 1. Omaha 2. Indianapolis 3. Dayton 4. Columbus 5. Cincinnati … See the top 20 so far this month in the center column of our home page. Misses: Metro KC dodges bulk of snow storm | Glancing blow for St. Louis | Worst weather misses Virginia and D.C.
Cyclone Larry Update: Aid delivered to Australia cyclone-hit area: An estimated 7,000 people lost their homes in Cyclone Larry. Top 5 WXnation.com city weather and webcam pages visited on Monday: 1. Omaha 2. Kansas City 3. Denver 4. St. Louis 5. Indianapolis … See the top 20 so far this month in the center column of our home page. Top 5 WXnation.com city weather and webcam pages visited on Sunday: 1. Dallas/Fort Worth 2. Omaha 3. Denver 4. Austin 5. Rapid City … See the top 20 so far this month in the center column of our home page. 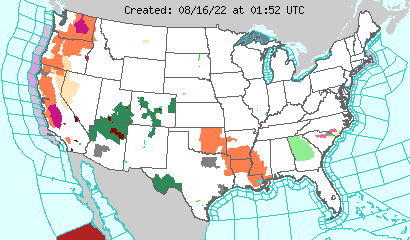 Flash Flood Warnings For Dallas/Fort Worth: Story | Weather Plus video stream (Video tab) | Dallas rainfall totals: Up to 9.61 inches | Watches/warnings map | Radar | Loop | Severe weather potential in Texas today; across the South on Monday (First mentioned here last Thursday | Weather and live webcams for DFW and other cities | WXnation Station in far north Fort Worth has recorded 2.29 inches of rain today through 9 p.m. CST., and 2.95 inches since early Saturday. Top 5 WXnation.com city weather and webcam pages visited on Saturday: 1. Dallas/Fort Worth 2. 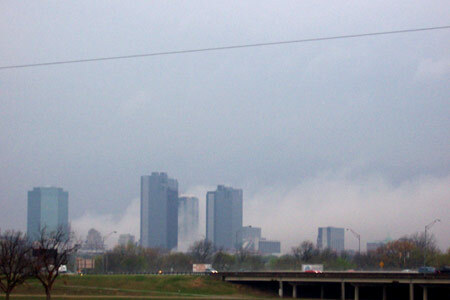 Oklahoma City 3. Los Angeles 4. Omaha 5. Houston … See the top 20 so far this month in the center column of our home page. ‘It Could Happen Tomorrow’: San Diego-Area Wildfire Review: Airing Sunday evening, the San Diego-area wildfire episode of “It Could Happen Tomorrow” takes a look at the destruction a massive wildfire would cause if it were to rage from 30 miles east of San Diego all the way to the affluent La Jolla and the Pacific Ocean within 36 hours. The episode includes interviews with residents who mention their greater fear of a tsunami than wildfires, but the show uses footage from 2003 to show that a wildfire could prove more destructive. In the fall of 2003, a wildfire burned to within 10 miles of San Diego, and destroyed thousands of homes before winds from the southeast shifted. The show suggests “it could happen tomorrow” if those Santa Ana winds persist for a few days, and explains the amount of evacuation time residents would have. Focusing on the Scripps Ranch and La Jolla subdivisions, the episode also offers plenty of wildfire video from recent years and commentary from experts. As many know, the Texas Panhandle has just experienced wildfires that have left an area the size of Delaware charred. It seems inevitable that, one day, a wildfire could enter a major U.S. city. In this year of drought and wildfires from the Southwest to the East Coast, the episode offers useful information. One tip: Don’t go for the garden hose, hoist yourself up on the roof and play firefighter. As one expert noted, he doesn’t know of any home that’s more valuable than a life. 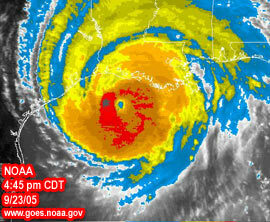 The episode airs March 19, at 9:30 p.m. EST on The Weather Channel. 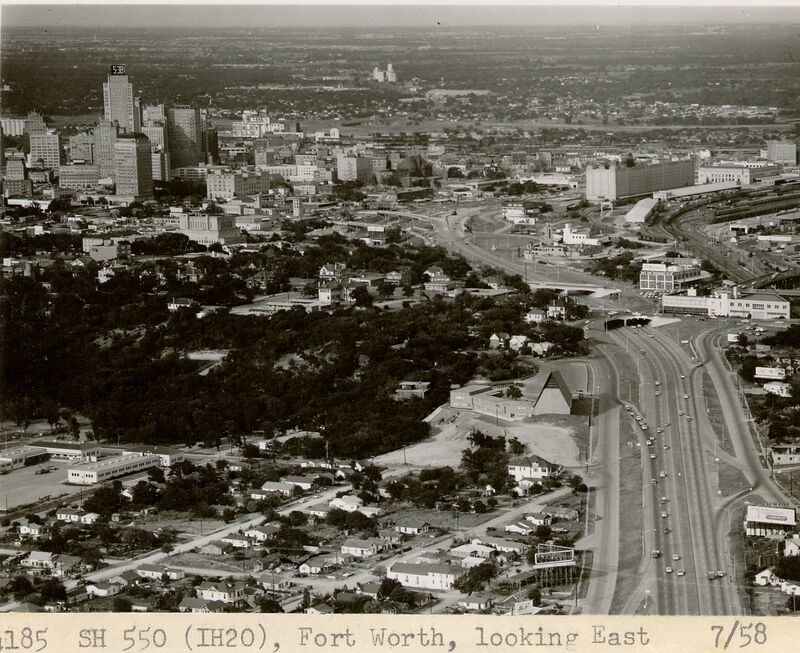 The 30-story Landmark Tower, built in the 1950s and the tallest building in Fort Worth at the time [1958 pic/more old photos], was brought down at 7:40 a.m. Saturday, 20 minutes early because of a nearby storm. A revolving clock on its roof quit working in 1988. 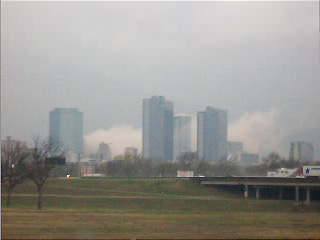 Images of the dust cloud, left after the largest-ever implosion in Texas, were taken from Sylvania in N. Fort Worth. Top 5 WXnation.com city weather and webcam pages visited on Friday: 1. Dallas/Fort Worth 2. Los Angeles 3. Savannah 4. New York City 5. Reno … See the top 20 so far this month in the center column of our home page. What’s causing earthquakes beneath Lake Erie? Top 5 WXnation.com city weather and webcam pages visited on Thursday: 1. Chicago 2. Minneapolis/St. Paul 3. Milwaukee 4. Houston 5. San Francisco … See the top 20 so far this month in the center column of our home page. Top 5 WXnation.com city weather and webcam pages visited on Wednesday: 1. Minneapolis/St. Paul 2. Reno 3. Honolulu 4. Syracuse 5. Salt Lake City … See the top 20 so far this month in the center column of our home page.